Making almond milk at home does not have to be complicated! 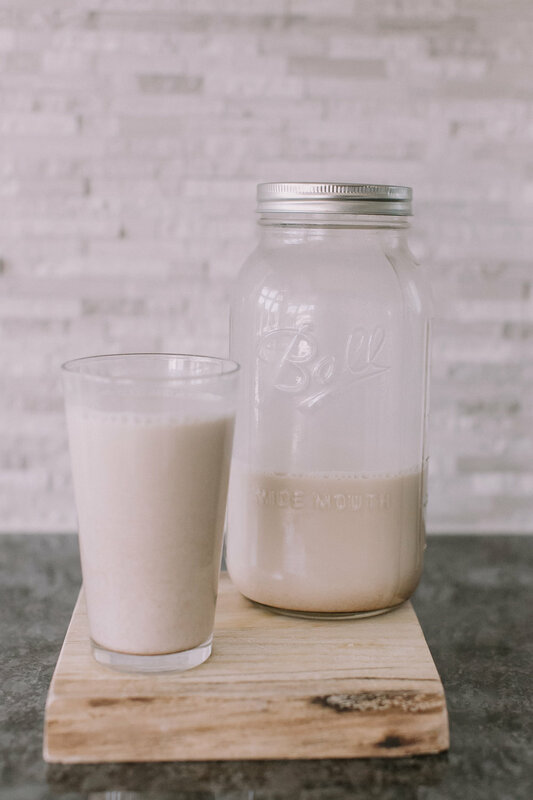 This is my favorite almond milk to make because it's smooth, nutty and has the perfect amount of flavor to add to coffee, enjoiy on it's own or add to your baking recipes. Enjoy! 1. Blend all ingredients in a blender on the highest speed for 2 minutes. You may need to pulse to ensure all almonds are broken up. 2. Place strainer bag (I like to use a paint strainer bag) over pitcher and pour almond milk & almond meal ingredients into the strainer bag. 3. Squeeze all almond milk liquid out of strainer bag into pitcher. 4. Seal and Refrigerate Almond Milk for up to a week. I like to use a large mason jar. 5. Enjoy! You can use leftover almond meal in recipes or freeze & store.